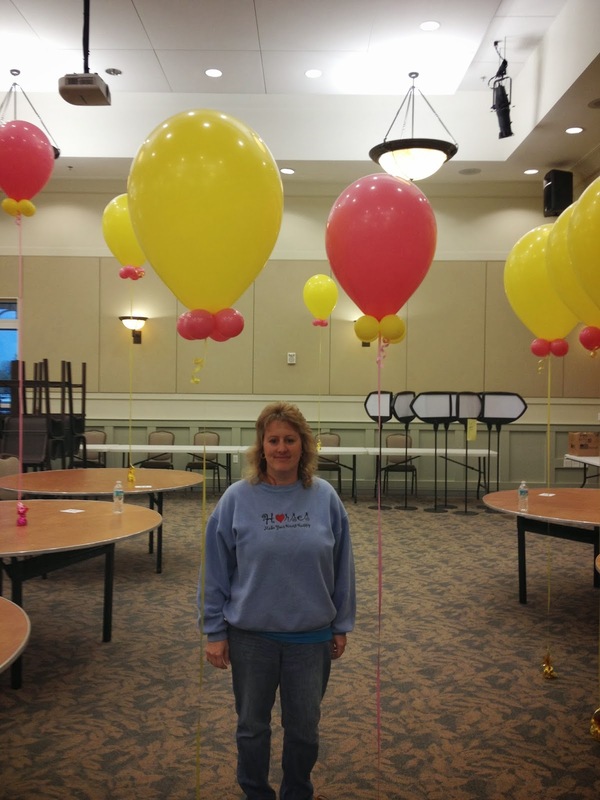 For the Polk County School Board fair jumbo 24 inch Yellow balloons with Pink Collars are for the sponsor booths. 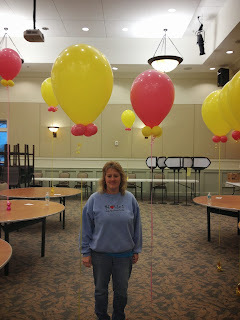 and Large 16 inch Pink balloons with Yellow collars for the other booths. Balloons bring great color to any Expo! 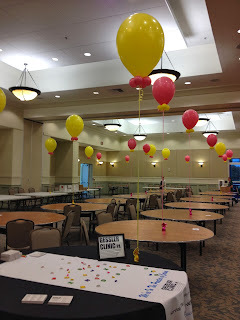 Call Party People Celebration Company 863-255-2025 email partypeoplecc@msn.com to have us provide décor for your next event!